Frustrated By The Affordable Care Act, One Family Opts Out : Shots - Health News Many new plans created under Obamacare have consumers and doctors scrambling to figure out which providers accept which plans, and what services are covered. Nick and Rachel Robinson welcome their son Cash, who was born in a midwife's birthing pool. The Robinson family of Dallas started out pretty excited about their new insurance plan under the Affordable Care Act. Nick Robinson had turned to Obamacare after he lost his job last summer. He had been working as a youth pastor, and the job included benefits that covered him, his two young daughters, and his wife, Rachel, a wedding photographer. Nick says he wasn't too nervous at first, because everyone was healthy. Then, he recalls, they found out Rachel was pregnant. "It's one of those times where you hear the news and there's this immediate sense of joy and excitement like, 'Yay, a new kid. That's awesome!' " he says. But they were also concerned. "What are we going to do? How are we going to pay for this? This is intense." Nick found a new job fairly soon, working as an account manager in retail sourcing. But the small firm did not offer health benefits. The couple started looking around. They applied for Medicaid but didn't qualify in Texas. They thought about paying out of pocket, but the quotes they got scared them — up to $15,000 for a basic hospital birth. Summer crept into fall, and Nick started hearing the buzz about the Affordable Care Act. "I was like, oh, here's the answer! This is simple!" Nick says. "It's a cheaper insurance plan; there's no pre-existing condition stuff." Rachel was skeptical, but Nick went online and started shopping. He had trouble getting through the glitchy website at first, but eventually he picked a plan just for his wife. It was a gold plan HMO through Blue Cross Blue Shield for about $375 a month. In January, as soon as the plan began, Nick printed out a list of obstetricians from the plan's website. "I handed it over to Rachel, fully confident, fully feeling like I had accomplished something for her; I had come through for my wife," he says. "This whole Obamacare thing was going to work!" Rachel recalls two days in January when she sat down and called every doctor on the list of 28. According to her, most of the practices told her, in one way or another, that they didn't take the plan. "Some would just come right out and say, 'We don't take Obamacare,' " she says. "Or the best one was, 'The doctor takes it here at the actual practice, but whatever hospital you use ... does not take that insurance.' "
She says there were other issues, too. Some of the doctors said they wouldn't see her because she was too far along in her pregnancy — about 30 weeks. A few practices did take the HMO insurance, but they operated as a rotating clinic and couldn't guarantee she would see the same doctor every time. Rachel wanted to establish a relationship with her obstetrician. "It was mind-numbing," she says, "because I was just sitting there thinking: I'm paying close to $400 a month just for me to have insurance that doesn't even work. So what am I paying for?" Nick got even more frustrated when he called Blue Cross and was told those doctors should take the plan. "How could this not be working?" he says. "The United States government has set this up. It's this whole big deal; there are commercials everywhere saying we need to use this. And they're just saying, 'No, no, no,' and that just made me so mad." "We're committed to helping our new members understand how to get the most from their coverage, and also [are] working with doctors and hospitals to inform them of the range of coverage options we have available," Adams says. Even if it was a matter of miscommunication, the Robinsons felt lost. It was January, and their baby was due in April. They started considering a midwife, an option friends had suggested but that they had previously rejected. "Our answers to that were, 'Absolutely not,' " says Nick. " 'That's insane. We're not going to go to some crazy witch doctor lady and make us get in a giant tub. Those are the crazy people. We're the normal people. We want to have our birth in a hospital.' "
It was risky, too. Rachel had already had two cesarean sections; a home birth would mean trying to deliver vaginally. But gradually the Robinsons changed their minds. Rachel met with a midwife and loved her. Out of pocket, a home birth would cost only $4,000. And so they dropped their new plan; they just stopped paying the premium. They signed on to be in the midwife's care. Nick signed up for a nonprofit, Christian-oriented cost-sharing plan. The Robinsons will pay cash upfront and request reimbursement later. "We're so happy with where we are now," says Nick, "but this is not OK. And I'm extremely confident that that's not what the architects of this plan had in mind." 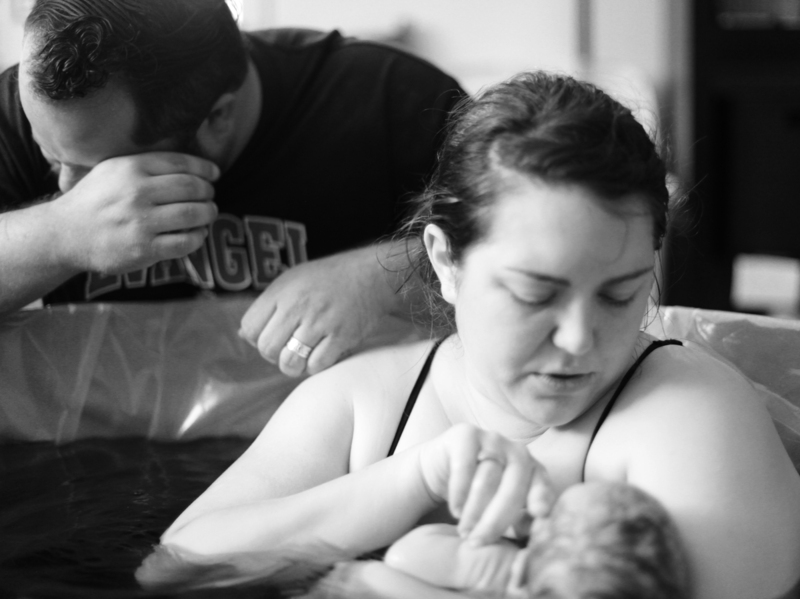 On April 28, Rachel gave birth — at home, in the giant tub, with no pain medication. The baby is a healthy boy named Cash. Nick says that's for Johnny Cash, whom they both love — and not for the midwife's fee.